This week I had a small refreshment break from MT work, and I spend some time in Bangor (North Wales). This was the first time since I had completed my theology degree to have the freedom to look around the city and it seemed so different to 6 months ago. The main reason for visiting Bangor is to see my girlfriend; who is in her final year at the university. We had such an exciting time, from going to the pier, to the cinema, and even went shopping! When she went to her lectures, I thought I would crack on with the book I’m doing as part of my training as an MT and that is Frame’s book (see previous blog https://theurbancurate.wordpress.com/2010/10/12/mt-getting-his-hands-dirty/). The chapter that I’ve looked at was about the transcendence and Immanence of God. It’s in the last chapter of the first section of the book. It is about the understanding of the two words and how they describe God’s lordship. This diagram is from the book itself, and it shows the conflicting views between biblical, and non biblical understanding of God’ transcendence and immanence. While I was on the train, and reading the book, it came to me that my train ticket hadn’t been inspected and I was nearly at the end of the journey. I looked up and down the carriage and couldn’t see the conductor, and I went back to the book. While I was listening to my iPod and reading, (I was miles away by then) I heard some knocking on the pizza box that I had next to me. It was a very solemn conductor looking back at me. I presented my ticket and that was it. It was the shock and concern that my ticket hadn’t been inspected, which drove this practical idea. God’s transcendence is the feeling that God is there to rule, control and have authority over us. This is like a conductor of a train; you know he is on the train and he has the authority, control and he decides if you continue your journey or get thrown off. God’s immanence is to say that he is present with us. He is also hidden away from us. That is what happened on the train; I couldn’t see the conductor anywhere! but I knew that his presence is there, and he appeared out of no where like he was hidden. The Bible really makes a difference to how we see God’s presence, authority and control. The diagram is saying that: If you believe that God is revealed in the scriptures, then he is present, and he is has control and authority. If you are an academic, or even an gnostic, you would see that God’s Transcendence is that he is a being somewhere in the clouds, with no idea where he is. God’s Immanence is saying that he is in the presence of the creatures on the earth. This was a thought that I had years ago when I was contemplating the theory that humanity will grow to learn the existence of God, but they forget one thing: If God is the controller of all things, and he is this mysterious being that is hidden, then surely he would have control over the thoughts, and knowledge of humanity. Its like the diagram below: God will not allow Humanity to get the better of him, the reason why? He is God!!!! You have to accept it!!! This is what makes scientists look like fools!! Trying to work out something that they will never understand!! You don’t need a PhD to accept it as truth! This has fulfilled one of my childhood thoughts at last!! Thanks Frame!!!! Can a Christian Listen to Metal music? I’ve been looking around for some new music, and one of my biggest genres is metal music. I know a lot of Christians might see me as a hypocrite but… it’s the lyrics of the songs that are the problem. My enjoyment of this genre of music goes back to my teenage years, of listening to Bullet for my Valentine, Lostprophets etc. The problem though is…. they are all satanic bands, and their lyrics are very blasphemous. I wondered if there is any Christian metal bands, that could help me fill in the gap that I’m missing, and help me get off this evil path? I was looking on the web, and using you tube (as usual) I typed in ‘Christian Metal bands’, and presuming that I was probably going to get one band, but I was very surprised with what I saw. This video blog is called: Can God use Christian metal?? and this surprised me a lot!! After listening to the video blog, what do you think?? This is the vital key in order to reach out to the Goths, and emo’s! They love the power of metal music and as he says in the blog “It’s not the music that is evil, it’s the people behind the music that are evil! !” and I agree with him. Some of you might feel that we are allowing the devil to work if we support metal music; but is it so different to watching secular movies? We as christians should be supporting our brothers and sisters, in the way they are offering worship up to God. Just because we can’t understand the lyrics, or it is too loud, or monotonic, it does not show the love that the artists have for Jesus and the Gospel. I’ve added the instruments to the psalm to bring it in to context. The reason why they aren’t in the original text is that they didn’t exist. We are commissioned to burst in to song and shout for joy. Doesn’t that sound like metal music to you? I’ve left a taster for those who would like to have a look at a Christian metal band. Author Urban CuratePosted on October 26, 2010 November 16, 2010 Categories MT Life, ProblemsTags christian metal, christian music, God, God music, metal, music, pillar1 Comment on Can a Christian Listen to Metal music? With the role that I’m doing, I have to be monitored on what type of things I’m doing for my faith, and believe me; it’s not easy. This Monday I had a meeting with the DDO (Diocesan Director of Ordinands) about 1 category out of 9 which I will be tested on in a Bishop selection panel. This meeting was about my ‘Spirituality’ and knowing that I have a very fluctuating prayer life from being at university, it meant it needed work on it. To prepare myself for this meeting, I was inclined to use some very helpful material to help me pray and one of them was this book: “Pocket Prayers: The Classic collection” composed by Christopher Herbert. This book is full of prayers, and some of them are very good. There are a collection from prayers for adoration, thanksgiving, confession etc, written by church fathers, and some are very poetic. It is a helpful guide to pray with faith and confidence to our heavenly father. During the meeting, he asked me ‘Do you have a structured prayer life?’ This was a question that I have never associated with using the word structure for prayer. A lot of the time, you feel that when you need God, you ‘oblige’ to prayer to him for help. Have you ever prayed to God so something that isn’t for your self? I know its hard at times, and it does feel like that God I to be our ‘provider’ and not our ‘friend’ or ‘king’. This made me feel that I need to find some time to structure my prayer life in order that I consistently prayer with faith and confidence. It also means that if I don’t feel that i want to prayer daily, then it becomes a problem!!!!! The DDO Advised me to use the ‘Daily prayer-book’ (This is mainly the Common Worship Daily prayer book [look right], but he has said that I could use the BCP ‘Book of Common Prayer’, to add to the variety). I gave it ago this week and it’s not too bad if you feel like you can’t be bothered to prayer, but I’m starting to understand the anglican form of ‘quiet time’. I have set myself a target after Christmas to have a good term of Daily prayer, in order to continue the development of my spiritual life. A few questions for thought! What is your daily prayer life-like? Why don’t you use the ‘Daily Prayer’ as a STRUCTURE to develop your own quiet time? Jesus gave an example in what we should pray, and I believe that it is still the most valid prayer in today’s society. The Lords Prayer. but deliver us from the evil one. [a]‘ 14For if you forgive men when they sin against you, your heavenly Father will also forgive you. The understanding of prayer is complete doctrine by itself, but the DDO was concentrating on it this week, so it made me want to blog it! Noah Play with a twist!! This is Noah script that I have completely composed and I thought it could be laugh!! It is being performed soon and You can use the ideas if you like!! Scribe: West Ham (looks confused) Sorry West Bromwich. I have thee a story that goes back a long long time ago. It’s that far back I was a baby in a pram! Rapper: Yo homies whats up?? Scribe: who (pause) are you?? Rapper: im the S.t.o.r.y. t.e.l.l.e.r!! Scribe: No your not !!! I am!! Rapper: Yeah right bruv!! Tell ya what. Can’t we team up, cause you can’t read, and I can’t talk so how bout it??? Scribe: Ok I get the Point!!! This is a story about a man who was called Noah, and it began all the way back when the whole world was a place of Evil!!!! Scribe: Time passed by and there were many people who were living on the earth. And every one forgot about God……. God was filled with pain and there was lots of stuff happening that he hated in the world. God: What has happened to the world?? Why don’t they worship me?? (pause) That’s it!!! I will wipe the people and animals that I have created off the face of the earth; I am so angry and upset with them. Rapper: There was a bruv called Noah, and he waz a respectful to God. He paid respect to God; and God paid respect back to him, and they were best bros.
Noah then prays to God. God: Noah! Things have gone wrong!!!! The people that I have created are filling my world with hate instead of love. They are destroying themselves…… and each other…… and my world. God: I want you to go and build yourself an ark, I want it to be 150 metres long, 23 metres wide, and 14 metres high. The reason is that I’m going to bring a flood which will wipe out the hatred off this earth. I promise to you that your family and sons will be safe. I will also send to you… two of every animal one male and one female, and you are to take food with you! I will let you know when the time comes!!!! Noah: Ok Lord, I will do what you have asked!! Noah gets up and goes to get his family and they start to build an ark. Scribe and rapper start to speak. Rapper: oooooooooooo what’s gonna happen bruv?? Scribe: We will find out soon!! You should have read the script like me!!! Scribe: (sarcastically) Ok… Noah began to build the ark and his sons and his wife were there to help him. Noah and his family have built the whole ark and he is touching up the bits with his sons. Shem: Dad .. What are we doing?? Noah: God has told us to do it so stop arguing!! Ham: Why is it so Big?? Noah: Its for a reason!! Trust Me. Japheth: Are we going to live in it?? Noah: Yes we are!! Now! Go and get the Food!!! God: Noah! Go in to the ark and take with you all that I have told you. Take you and your family. Take two of each animal, one male, and one female. I will send the storm in seven days from now, and it will rain for forty days and forty nights. Noah: Ok Lord I obey you!! Scribe: God made sure that Noah and his family were safe in the ark. Outside, there were his neighbours who were shouting things to him and laughing. Rapper: They were still picking on my bruv and laughing, until everyone of the family wasz in ‘da boat. Noah didn’t mind, he listen to his homie; God, and he ‘den send the rain and it came down from heaven and started to fill the earth with water!! People started to walk around the ark, Water guns start shooting in the air. Then when the floods( Screen changes) rise they all start to drown and fall down. Scribe: God sealed shut the door of the ark, and as the waters rose, the people started to drown and the earth was being transformed in to a massive pool of water. Rapper: wow, you wanna go for a swim?? Scribe: Not now im busy!! So.. As God promised the rain lasted for forty days and forty nights…. Scribe: Yes, read your scripture!!!! Anyway… The floods lasted for 150 days, and Noah and his family were safe with all the animals in the ark!! Scribe: well gets some food then!! Its a long time to wait for the waters to go away!! They disappear and the lights dim as the ark is left floating. Scribe: WOW…That was a long time!! Rapper: I know! Where were we?? Scribe: Yes… After it had stopped raining, Noah opened a window on the ark, and let a love out so that he could see if the love returned or not. If it didn’t, that meant it had found some land!! Rapper: no you di… (pause) never mind! The dove returned back with an olive leaf, and everyone knew exactly what that meant….. It had found a tree! !, This meant that there was Land. The waters were going down!! Scribe: The waters were going up and…. God: Come out Noah! Bring with you everything in the ark, so that they may multiply on the land that is new and fresh. Scribe: Jonah came out with everything in the barks including his family and every animal, and he celebrated with them!! Rapper: You are really bad!! Rapper: I think wat he meant was.. Noah came out of the ark with everything, and he made offerings to God for saving them. The ark is on a flat and Noah was with all the animals and a rainbow appears in the sky. They build an altar and worshiped God. Rapper: is it finished yet?? Scribe: nearly..Noah make offerings to God for saving him and his families lives, and God made a promise to Noah. God: Noah! I want to make a promise to you. I will never again flood and destroy the earth. I have set my rainbow (do the rainbow here) in the clouds as a sign of that promise; and when it rains, I will always send that promise so that I may never again destroy this earth! All: Thank you God for saving us and promising us not to do it again. Rapper: you did mean Noah didn’t you?? Scribe: YES OK I can’t read!!!!! Jonah?? No!!! Noah!!! Good bye!!! Author Urban CuratePosted on October 17, 2010 November 1, 2010 Categories MT LifeTags christian drama, drama, fun, funny, God, Laugh, Noah, Play, ScriptLeave a comment on Noah Play with a twist!! Are words in scripture really meaningless? Recently this week, I attended a lecture on the doctrine of scripture/ The word of God, and the trial question that came out for me was: How crucial are the words that are in scripture today?? We were discussing the final part of a 5 lecture series on the doctrine of the word, and it was a cracker!! The session started off with the influence of the Holy Spirit and the meaning of the words in scripture. He argued that the verbal meaning of the word of God, can’t change. That is a fair argument because we believe that God breathed out his words; ( 2 Tim 3:16 ‘All scripture is God breathed’, the greek theopneustos – Meaning ‘inspired/breathed). As a christian, it is important to say that the word of God is authored by God, because he breathed his words and the scribes/ authors of the books wrote down what GOD wants to say. The other argument that the lecturer came out with about the Word of God was keeping the meaning of the text, but changing its significance. That is a very good point, saying that the word of God remains in its meaning but changing the way that we approach, or even adapt the words of God in to the situations we live in. That is true in some cases, but most of scripture, can’t be changed because they are mainly recorded as points in history, for example, Noah’s ark, and the floods. He then discussed the issue of the meaning of words in the scripture, and how that you could change the wording of a sentence, and it will still get across the same message, since you are keeping the meaning and changing the significance. I totally disagree!! The use of words that the author uses in his work are there for a purpose, and if we just felt like changing the words to suit the community around us, then we would lose the authority and reverence of scripture. One example that In openly expressed was the use of the 2nd person pronoun in Greek. In English, there is no distinction between 2nd person singular, or plural, we just say ‘You’. In the Greek, there is a fundamental difference. ‘You’ singular is ‘eis’; and ‘You’ plural is ‘ete’. If I followed the English language in the bible in distinguish who the author is about, then I would be confused is he is talking about someone else, or a group of people. There is a case to say that ‘It depends on the context’; and I agree that the context does make a huge difference to how to interpret a text,but; in the example I have explained, the English language is not adequate enough to make that distinction. I’m not saying that you have to study Greek or Hebrew but, to say that to people who want to know the scriptures, having the original language that the work was composed in, helps to explain the true meaning better than English. The Holy Spirit is the advocate who inspired the writers to write the scriptures, a they did, and as we all know, thy were human. The original greek has so many human errors, it goes to show that humanity couldn’t have composed the bible from scratch. It was all divinely composed. I know I have not mentioned about reading the bible fundamentally, and I will explain that now. In some cases, as explained before, the bible does have scripture that are recorded events, and there are some like the Laws in Leviticus that don’t apply to post-modern culture, and that is the interpretation of the reader. As scholars of biblical interpretation (any one who understands the bible! not just experts!!!) we ourselves need to ask and prayer for Gods wisdom in order to understand the scriptures and that is very important. If God wrote inspired the bible to human language in order for you to read it, surly we should ask him how to find the truth in it? You can have all the commentaries in the world to understand a passage, but if God speaks to you through the scriptures, isn’t that cheaper??? I leave you with that thought!! Author Urban CuratePosted on October 16, 2010 November 1, 2010 Categories MT Life, Problems, TheologyTags Bible, God, information, Lectures, Ministry, Scripture, trainee, word of GodLeave a comment on Are words in scripture really meaningless? MT getting his hands dirty! The latest phrase that is being used by Dude is ‘I like to get my hands dirty!’ Ive Just settled down in the life and work of MT and I’m getting more and more excited. The jobs are small, but like any new venture, it takes time to form a consistent scheme of events to formulate. Getting involved with youth work and enjoying the time spent looking at the preparation and engaging with scripture open up so many new doors. The latest job that has been given to me is to form a drama about Noah for one of our youth groups, in order to raise money for flood victims in Pakistan. It is a very amusing script about a scribe and a rapper telling the story of Noah, but the scribe can’t read, because he can only write, and the rapper can’t talk properly, because he can only rap! It has taken a lot of preparation and it is nearly ready for a rehearsal at last! 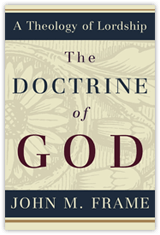 I’ve been getting to grips with a very theological book called ‘ The Doctrine of God’ by John Frame, and it is part of my theological refreshment. Where I have got to in the book, Frame talks about God being the controller of everything both natural, and artificial. Looking through the accounts of the Old Testament, there can be seen, many examples of where God, has controlled the situations of the nation of Israel. King David is seen as the most powerful and the greatest king that Israel, and Judah have ever had, and even David is controlled by God. His very anointing as king was planned and carried out (2 Sam 5:1-4). ‘ God’s controlling power is efficacious is simply to say that it always accomplishes its purpose. God never fails to accomplish what he sets out to do’. What Frame is saying here is just like; God has always had a purpose that I will get my hands dirty in West Bromwich! The enjoyment of the work can be very tiring, and demands a lot of thought, prayer, and faith in order for things to work out. In God’s eye’s, according to Frame, we should have no worries, problems or doubts, in knowing that what ever we have said or done; God had planned it from before the universe was created. How reassuring is that? Frame though goes on to say that; if we find it hard enough for us to understand that God has planned and controlled all things from before creation, then how much harder is it to accept that God can even control the time and place, and when we sin?? God is a loving God, and Frame then gives us this controversal statement. If God is holy, then why does he control our sins. to me it is like a balance. An earthquake hits England, and it’s terribly, and there are homeless people, and starving kids etc. Good actions balance out the horrible event like: generosity, giving food, providing shelters etc. I know there are problems with the doctrine of balance, but it emphasis’ that God’s power and authority are on top of the natures of good an evil. Author Urban CuratePosted on October 12, 2010 November 1, 2010 Categories MT LifeTags Bible, God, information, John Frame, Lectures, Ministry, Scripture, trainee, word of God, working1 Comment on MT getting his hands dirty! Right…. This is my first blog, so it will be in the catergorities of, first essay, first joke, or even reading my first book. What I mean is, there will be mistakes!! For all you keen bloggers, i wish to make a few things clear…. I’ll refer to myself in the blogs as ‘Dude’ because it was what i was called when i was at university and it really sticks to me. As you can see, im a ministry trainee in West Bromwich, and those who dont know what that is, then believe me, you will soon. A Ministry trainee is a position that is a totally voluteering gap year, that allows someone who has a passion for God’s ministry to take the oppotunity to exploite themselves to the tasks and life of a parish. I must first thank the minister for taking me on and allowing me to explore my ‘calling’ to faith. I’m hoping to go into ordained ministry and if those who want to know why and what I’m doing… keep me attached and follow a journey that has only just begun for me. Being born in Wolverhampton, and visiting other areas of the black country, West Bromwich wasn’t on my ‘seen’ list. So im just getting settled in a land that i have dumpted myself in to and expecting to float for a while. The West Bromwich football fans have been kind to me so far, so we will see how long that will last. So come with me on this journey as i find the way God is calling me.